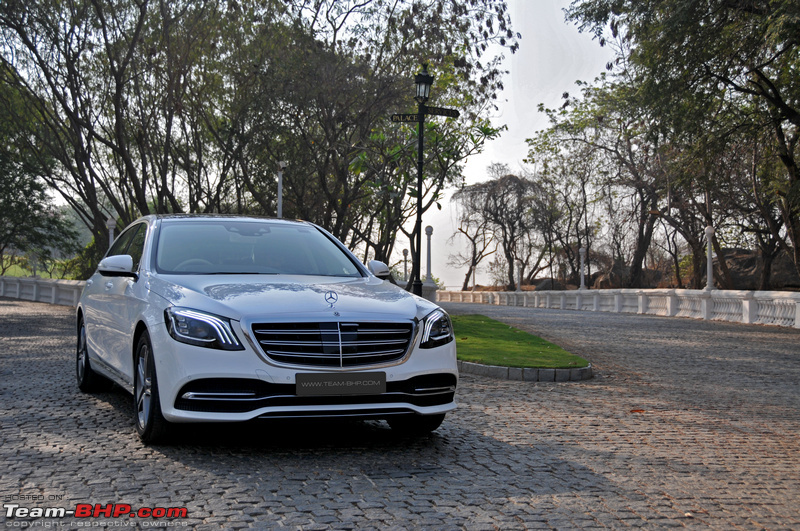 The Mercedes S-Class is on sale in India at a price of between Rs. 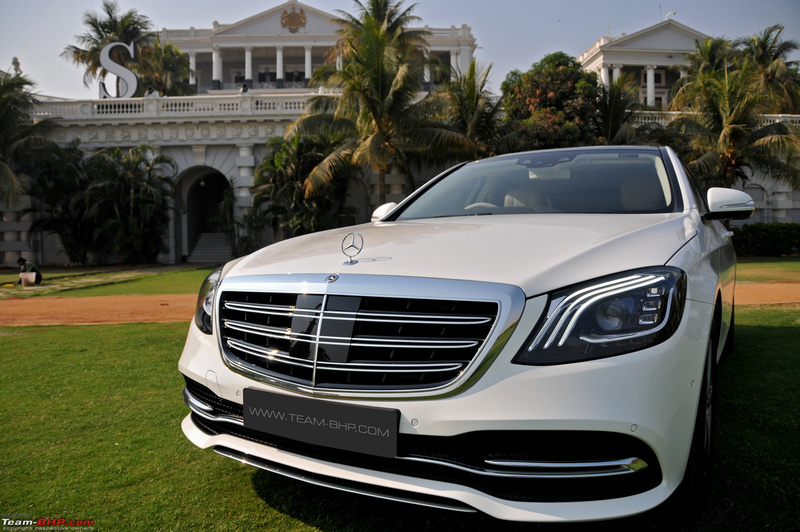 1.33 - 1.37 crores (pan-India). • Cabin is incredibly opulent & comfy. It's quite the royal experience! • No memory or cooled seats at the front. Seriously, Mercedes? Last edited by GTO : 30th May 2018 at 12:40. 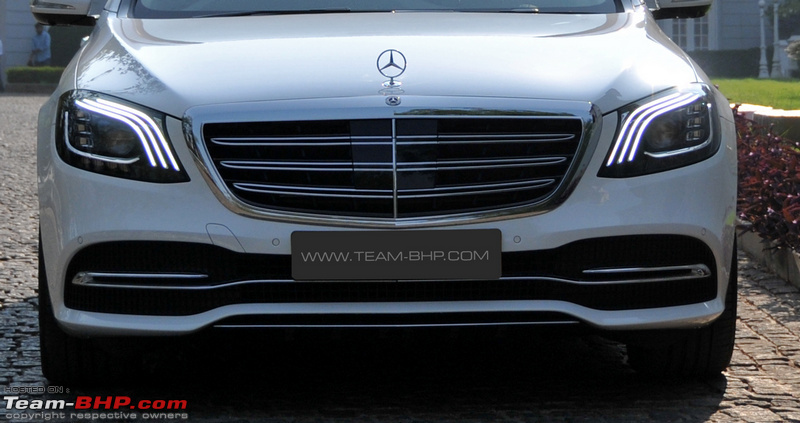 Since the Mercedes S-Class has already been covered by Team-BHP, this report will only focus on changes made to the facelift. To read the full report, click here. 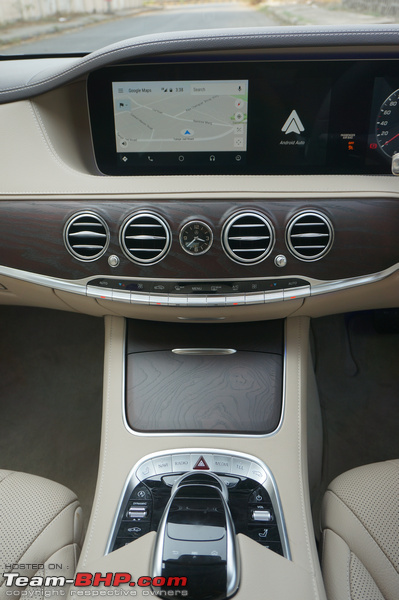 The 2018 update for the S-Class is more like a midlife refresh. At first glance, changes to the exteriors are few and almost difficult to notice. The company has given the car a revised front grille, new alloy wheels and a whole host of tech features. The S-Class facelift will be offered in the S350d diesel and S450 petrol trims. 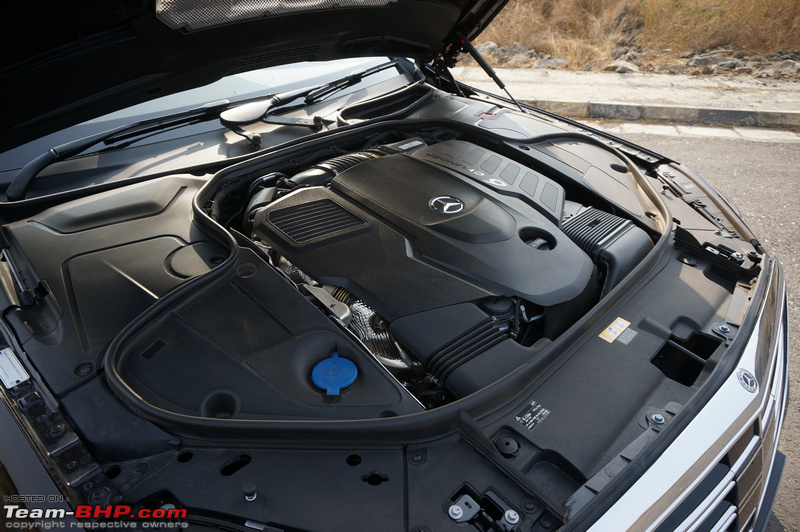 Importantly, the diesel engine is now an inline-6 compared to the earlier V6! 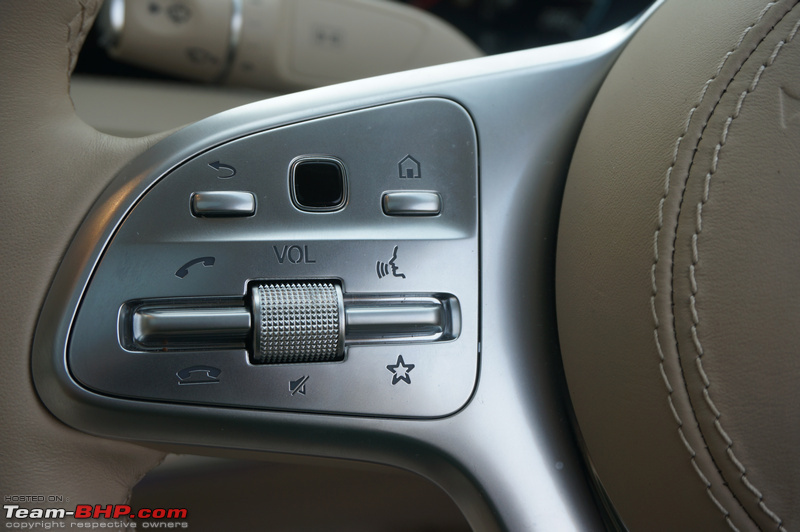 It is also BS-VI compliant on regular diesel and makes 282 BHP @ 3,400 - 4,600 rpm and 600 Nm @ 1,200 - 3,200 rpm. 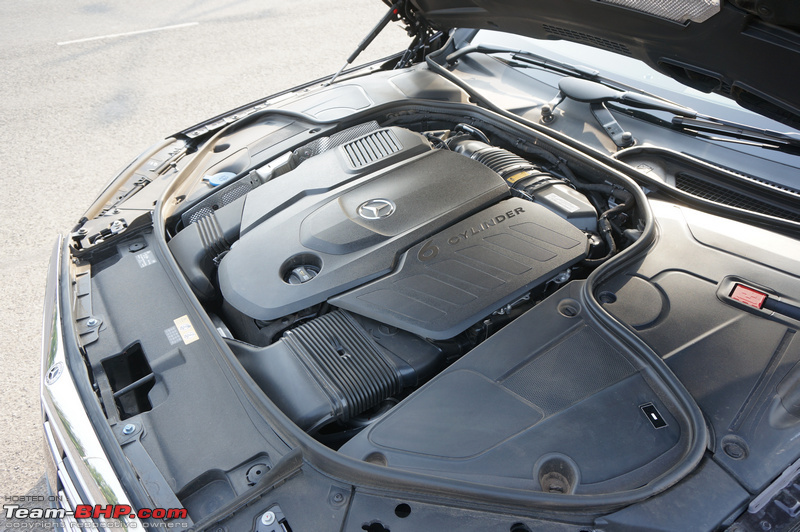 The petrol engine is the same V6 that was available before. Last edited by GTO : 30th May 2018 at 12:39. 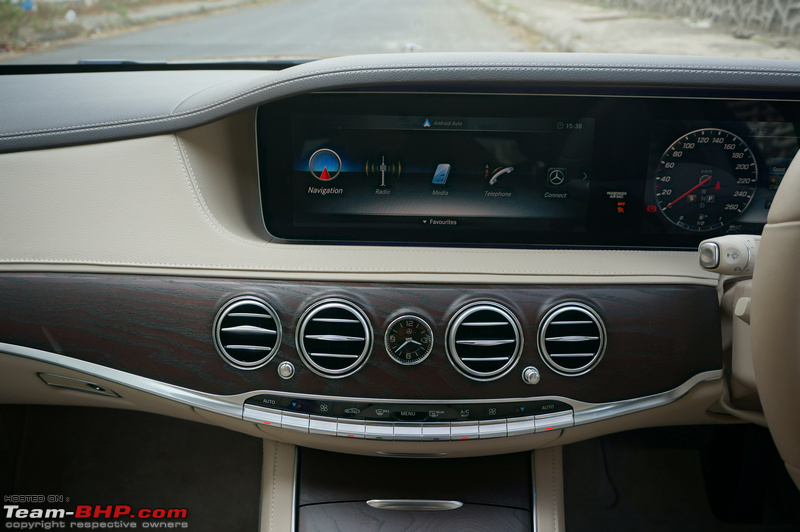 Changes on the inside include updated dual 12.3-inch screens for infotainment and driver information, new touchpad-based controls for the system and updated steering mounted controls. 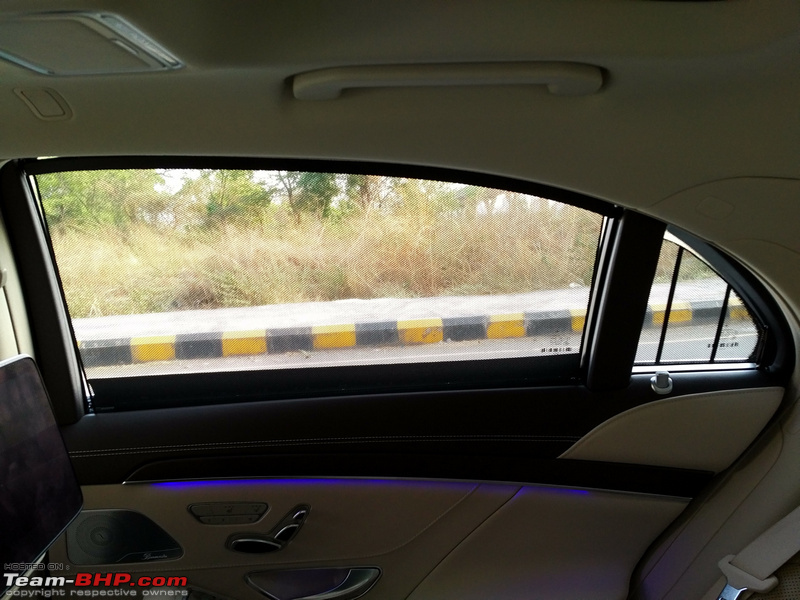 Sadly, the India-spec car misses out on features like the cooled front seats & memory function (front seats) that are available in other markets. Quality of materials and the overall fit and finish are exemplary. 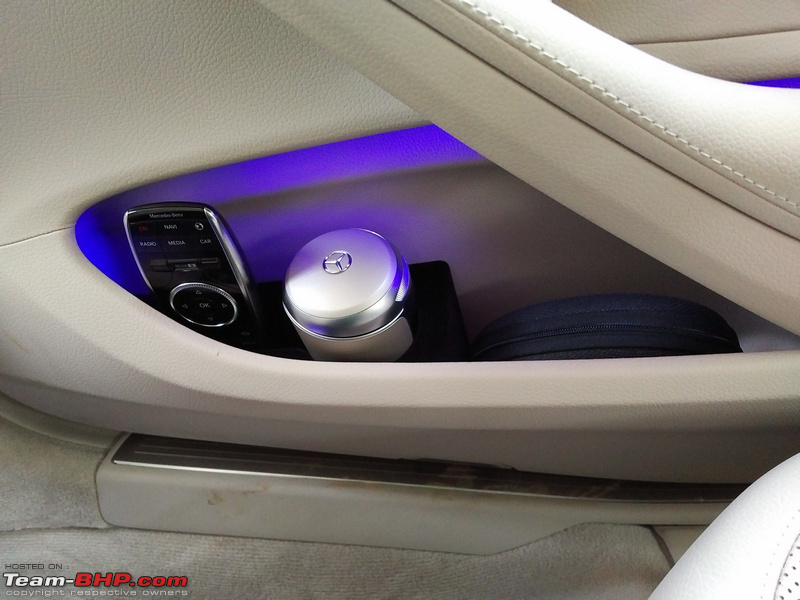 As you would expect, the ambience is like a 5-star and this feels like the car to be in. Further, the cabin offers superb noise isolation. Forget engine sound, you will not even hear the cacophony of our roads. 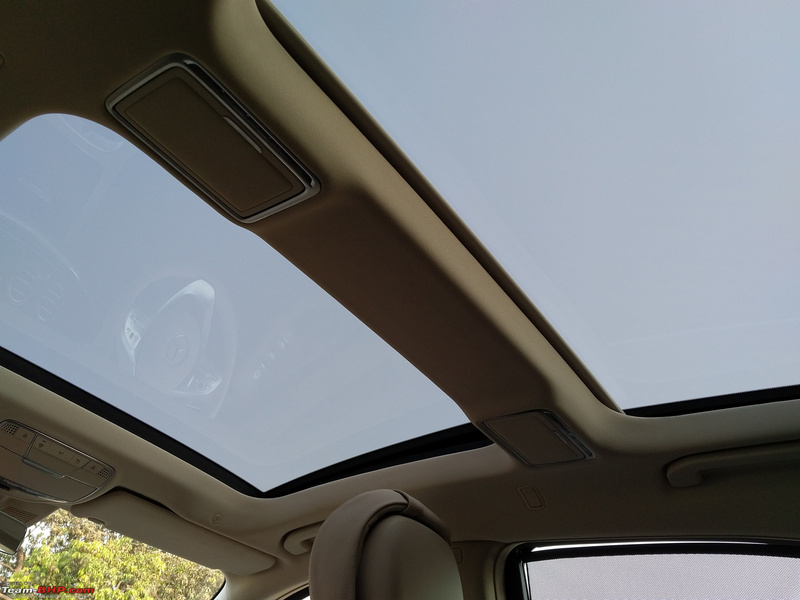 Roll down the windows and you'll be surprised to note the level of calm inside vs. the noise outside. Right side houses a similar thumb pad. 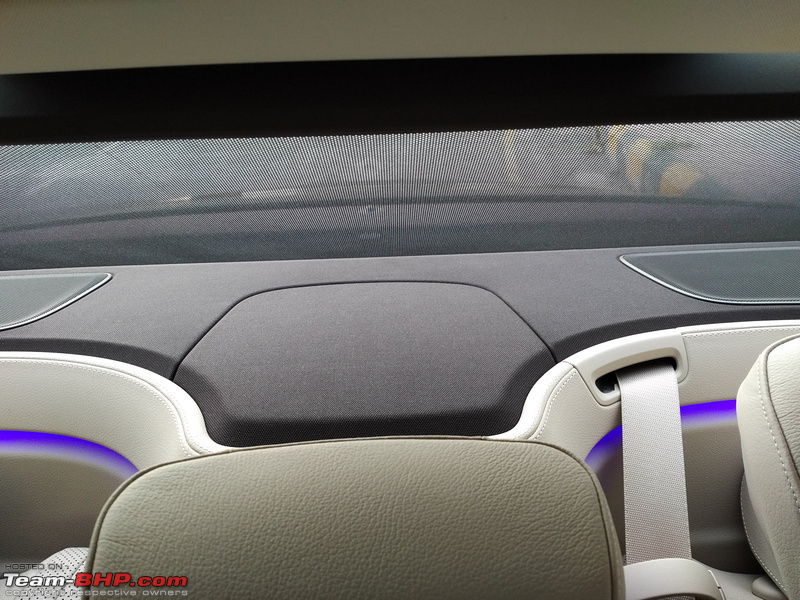 It can be used to change the driver display as well as other functions. 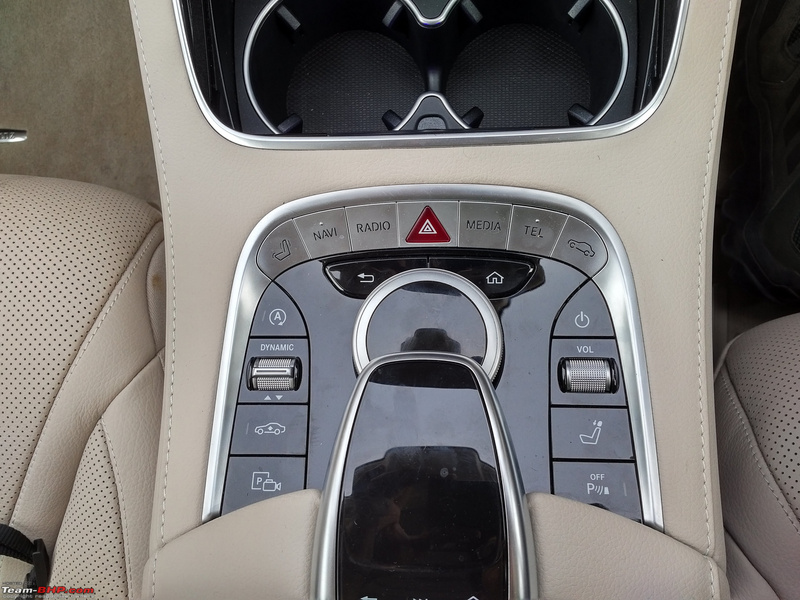 The other controls are for the adaptive cruise control, setting the distance from the car in front etc. 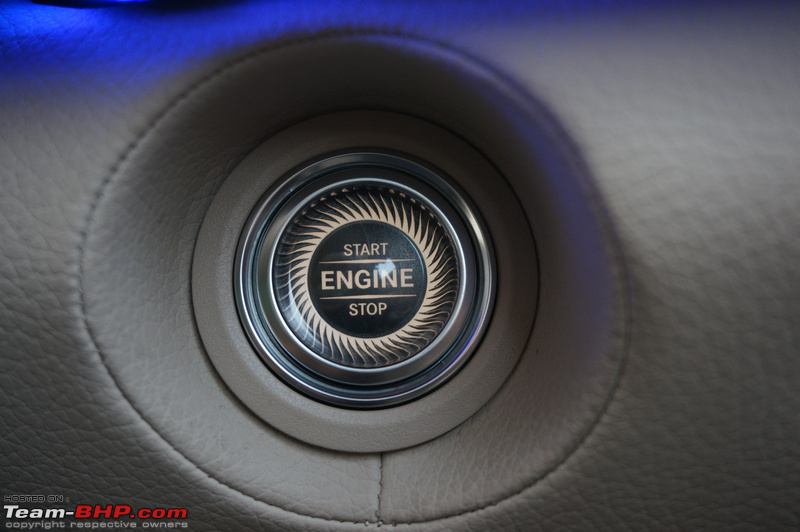 A close look at the start button - even this is so tastefully designed! 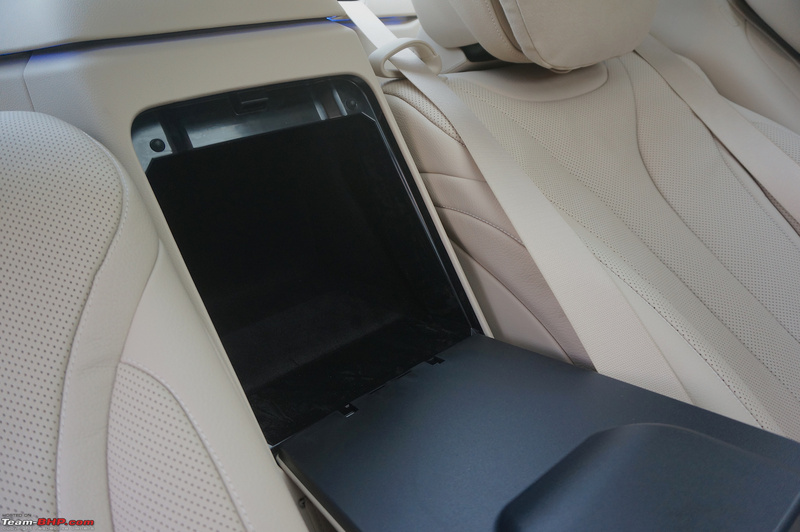 If you must carry a 5th passenger, the armrest folds up to make up a little space for that (unwelcome) person. 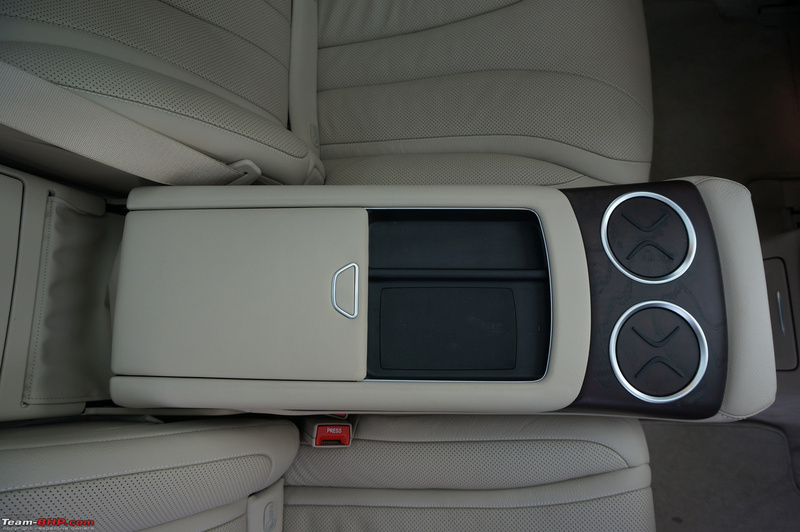 As both rear seats are individually adjusted, they must be in the same positions to accommodate the middle occupant. 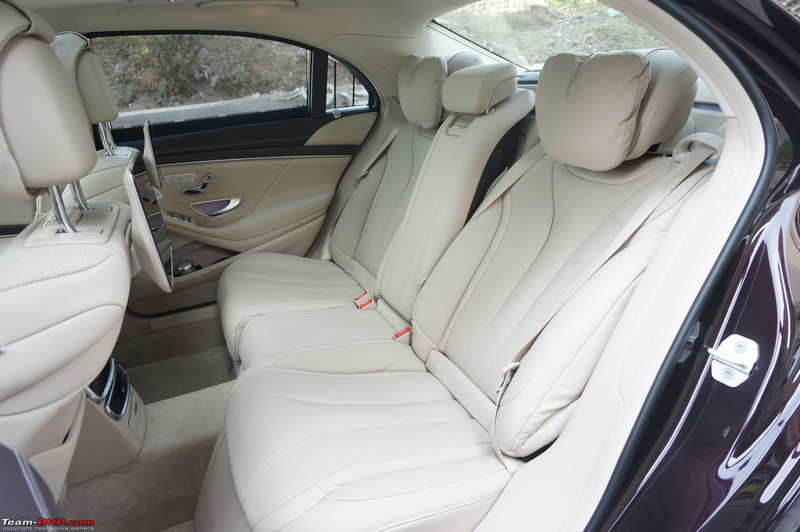 In this pic, don't miss the pillows on the headrests! 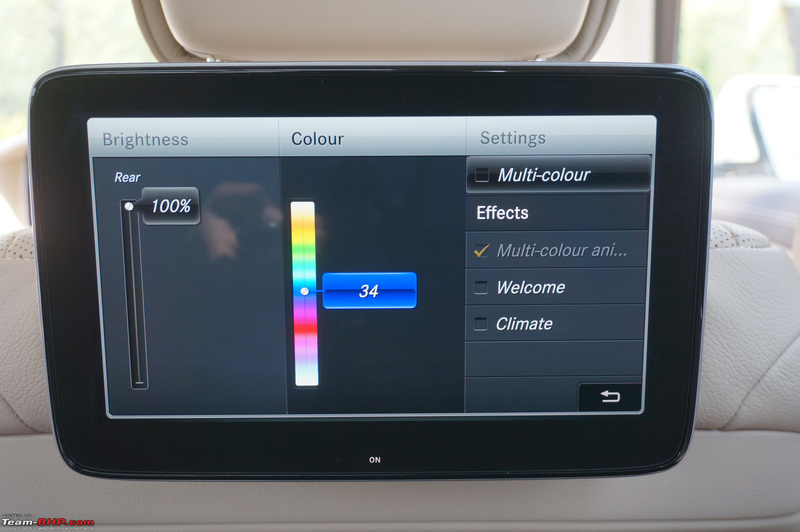 Ambient lighting - choose from 64 colours as well as multi-colour patterns! Last edited by GTO : 30th May 2018 at 12:38. The pre-facelift car used to come with these features as well, but due to those particular radar frequencies being blocked for civilian use, they were not activated. 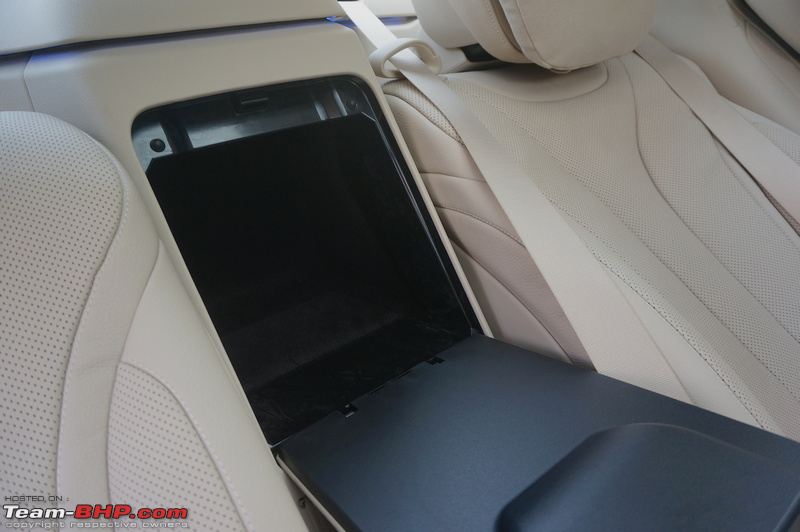 One must remember that these systems are primarily designed to increase the safety of the car and offer a little bit of assistance. That said, the driver must always be attentive behind the wheel and remain ready to take over. Warns about unintended moving out of your lane. In case of moderate curves, the car will steer slightly to keep itself in the lane. In the absence of any lane markings, it will follow the car in the front. 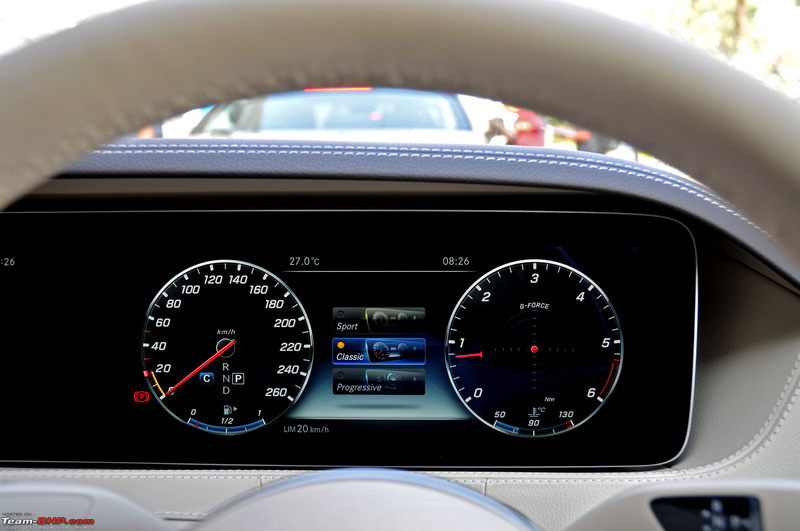 Once selected, the driver can specify the speed as well as the distance to maintain from the car in the front. 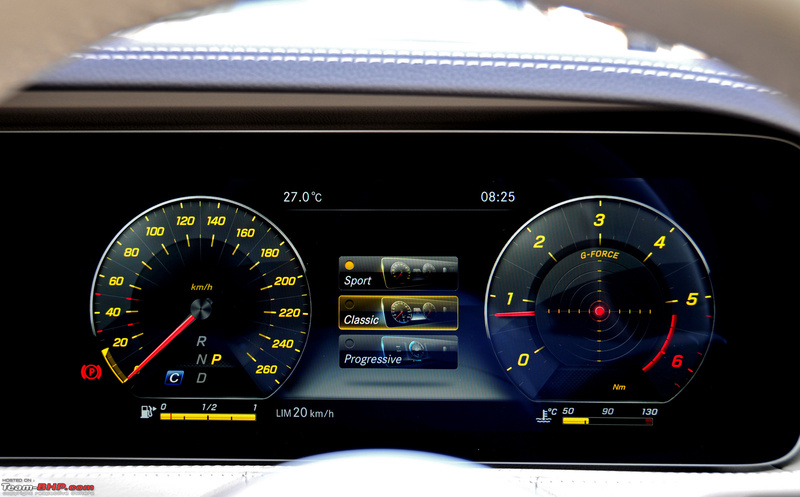 The S-Class will automatically brake / accelerate depending on the vehicle ahead. It will even stop on its own in case the car ahead comes to a halt! 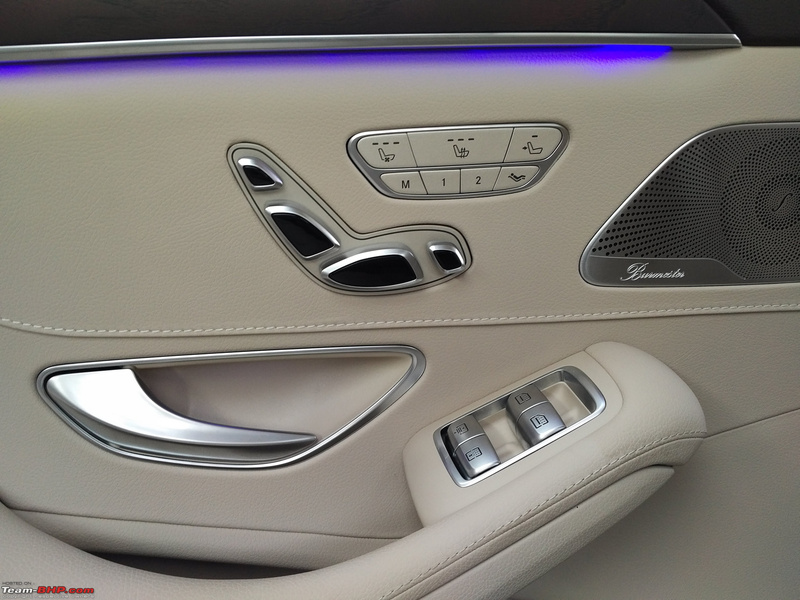 Mercedes calls it the 'Distronic'. It is active from speeds of 0 km/h to 200 km/h. 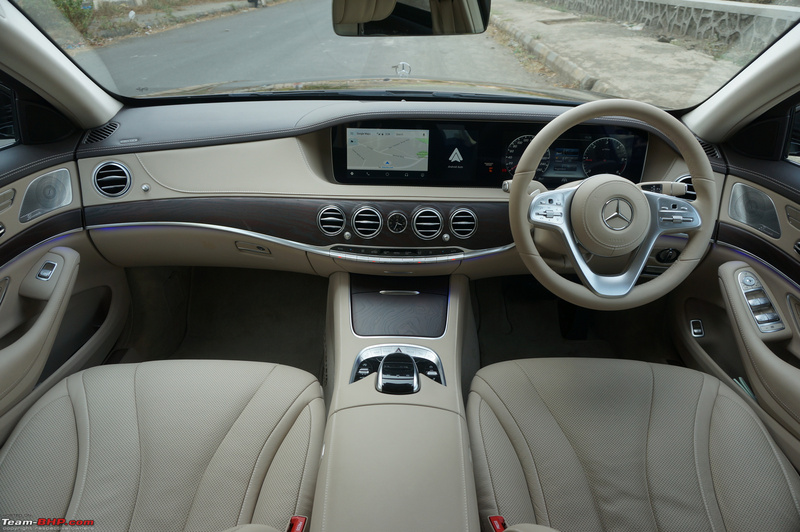 The S-Class makes use of cameras at the front to brake in case of any pedestrians coming in the way (or any other obstacle). 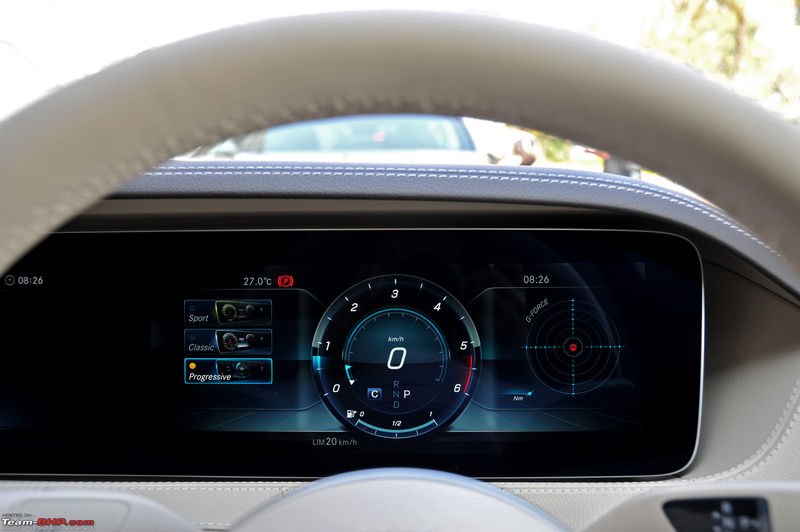 Further, it can detect obstacles in the surroundings and apply the brakes depending on multiple factors. If the car feels that the driver hasn't pressed the brakes hard enough, it will also increase the brake pressure to stop in time. Not only can the car park itself, but it can move out as well. 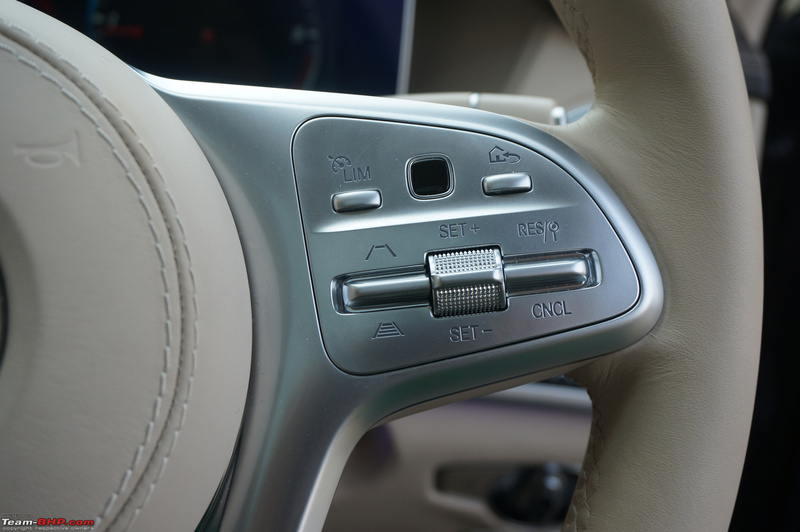 You don't even need to control the gears (D/R), steering or brakes. Feels damn eerie to use, but a sign of things to come for sure. The measures the car takes to prevent a collision or reduce the impact of a collision. In case of danger, Pre-Safe will roll up all the windows, leaving just a small gap (for dissipating the airbag gases), straighten up the seats, tighten the belts and unlock all doors after the collision. 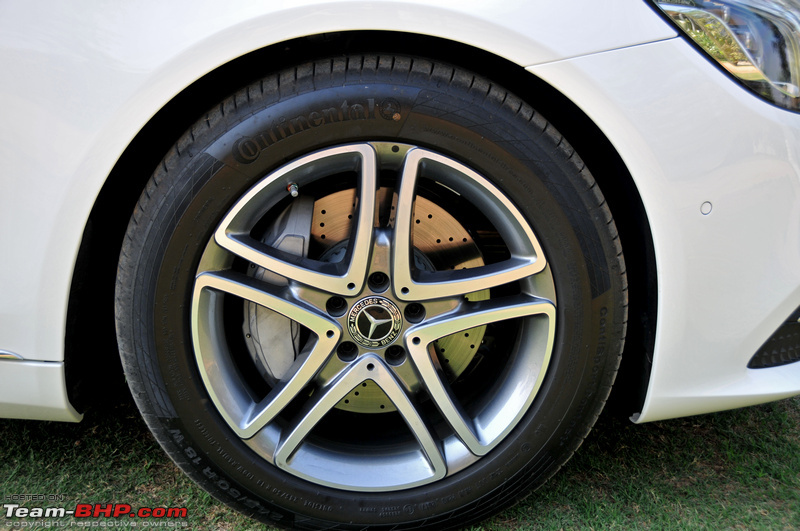 It will also keep the brakes applied to prevent further rolling of the car. 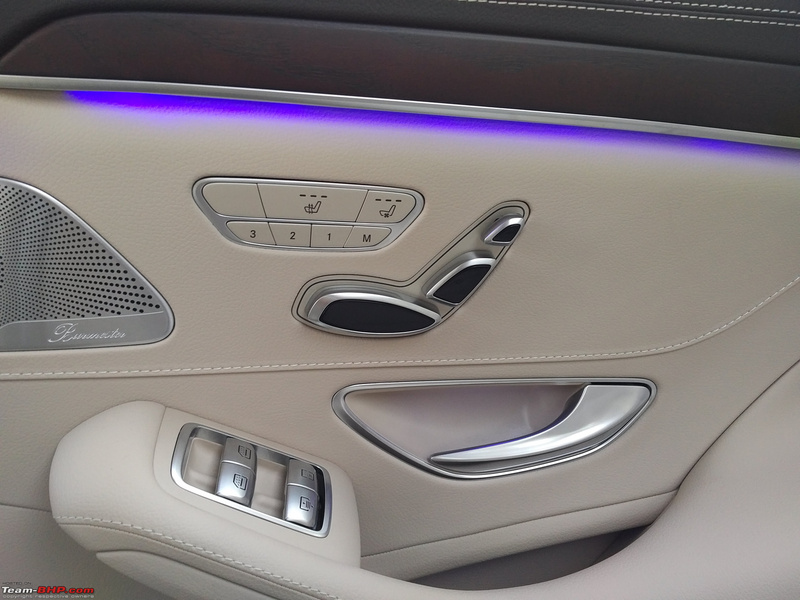 Now, Mercedes claims to emit a 'pink noise' that prevents deafening in the ears in case of a loud sound after an accident. You can hear it in the video below. 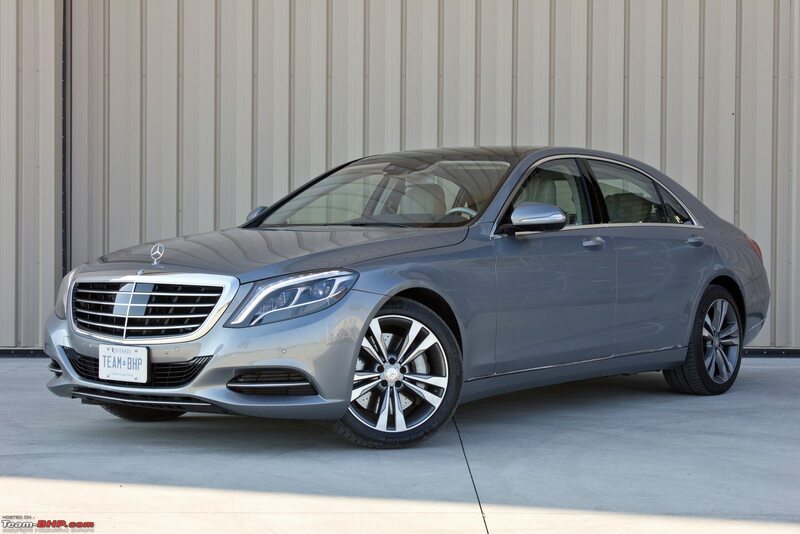 The Mercedes S-Class...what they call the best car in the world, just got better. The W222 facelift brings with it a new diesel engine. 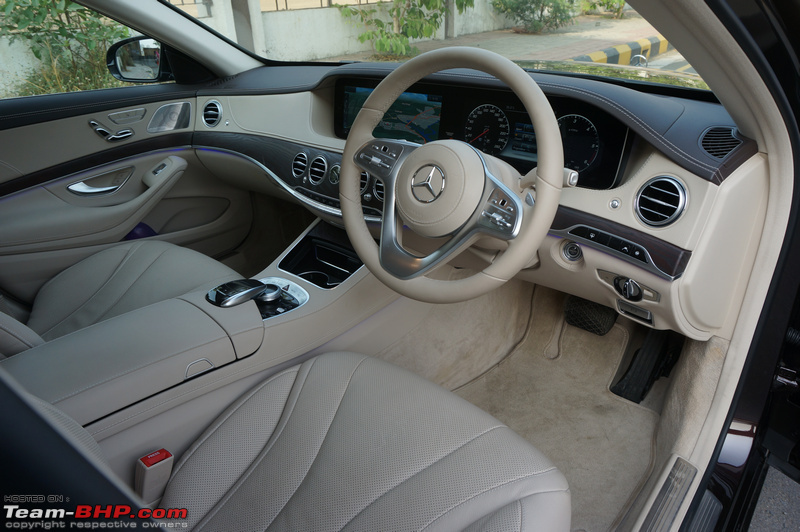 What is special is that Mercedes has gone back to the inline-6 layout after about 12 years (BMW stuck with it). This OM656 engine is part of a modular engine family, including the new OM654, which was launched on the E220d. When we say modular, it is meant that apart from the extra cylinders, the basics of the block remain the same. Not to mention, being narrower than a V-design, it will free up space around it for the inevitable change to 'electrification' in the future. This engine puts out 282 BHP @ 3,400 - 4,600 rpm and 600 Nm @ 1,200 - 3,200 rpm. 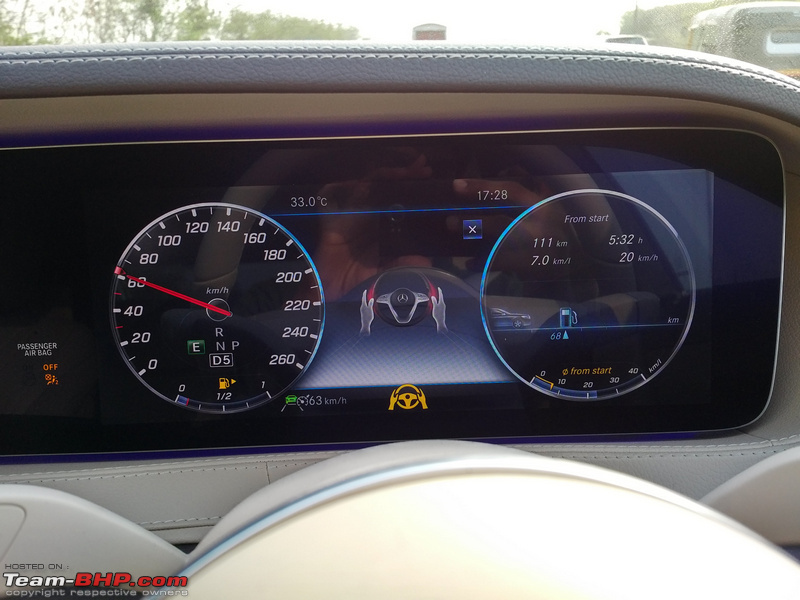 It is interesting to note that while the horsepower has gone up by a bit, the torque has come down by 20 Nm. 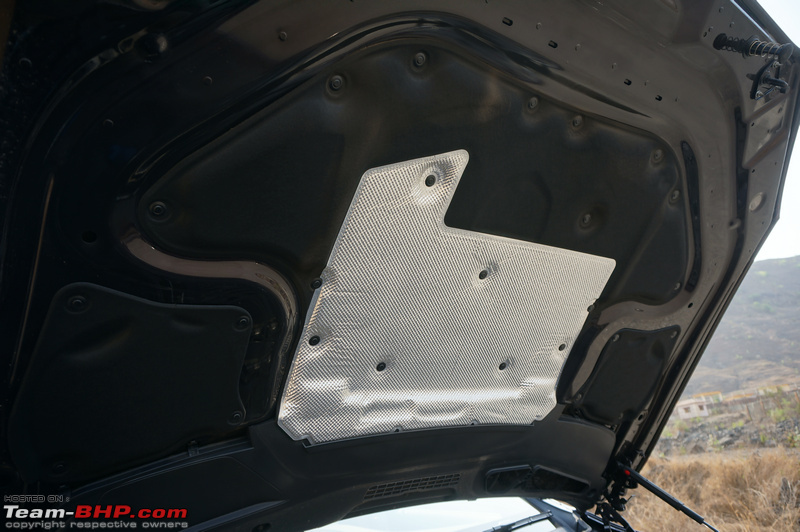 Additionally, the S350d comes with a larger catalytic converter, a diesel particulate filter and a Selective Catalytic Reduction (SCR) Converter with an Adblue tank. 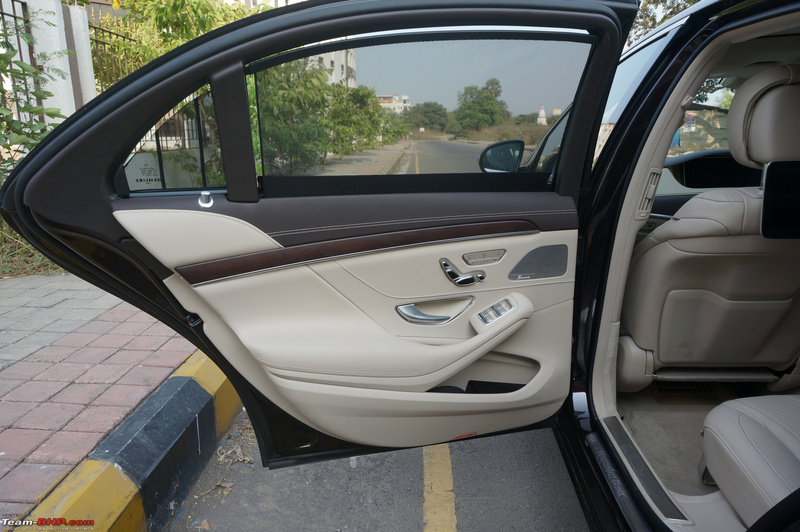 Along with everyone shouting it out from the rooftops, we too must mention that the S-Class is Euro 6 (BS VI) emissions compliant, even on our Indian diesel. What has also been changed is the transmission. Gone is the 7G-Tronic, which was the same transmission carried over from the previous-gen S-Class. What we get now is the all-new 9G-Tronic transmission (as the name suggests, it has 9 gears). This is a massive improvement over the older transmission in terms of how it behaves, but more on that later. So how does it drive? 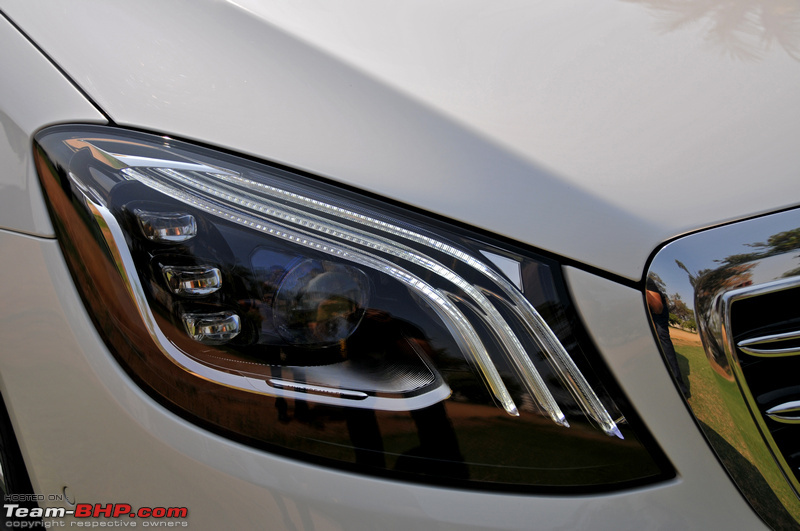 Mercedes officials said they would provide us a petrol car to drive first and pointed us towards a white example. 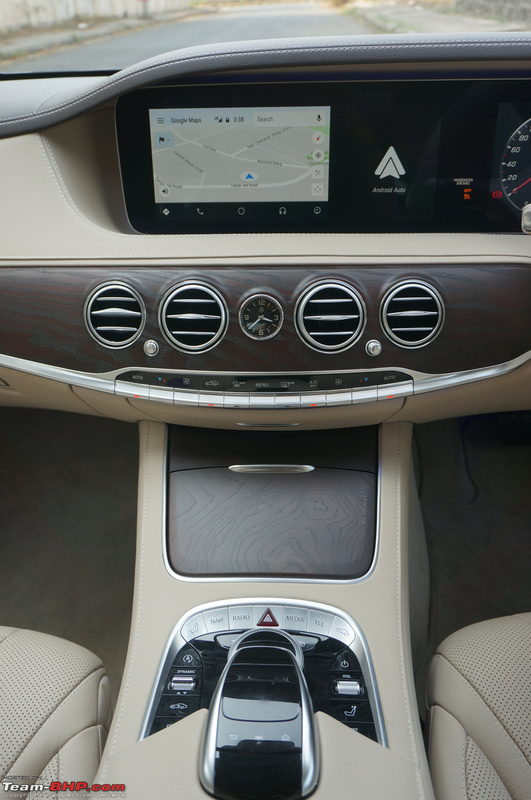 I got in and immediately felt r-e-l-a-x-e-d, because that’s what the S-Class does to you. 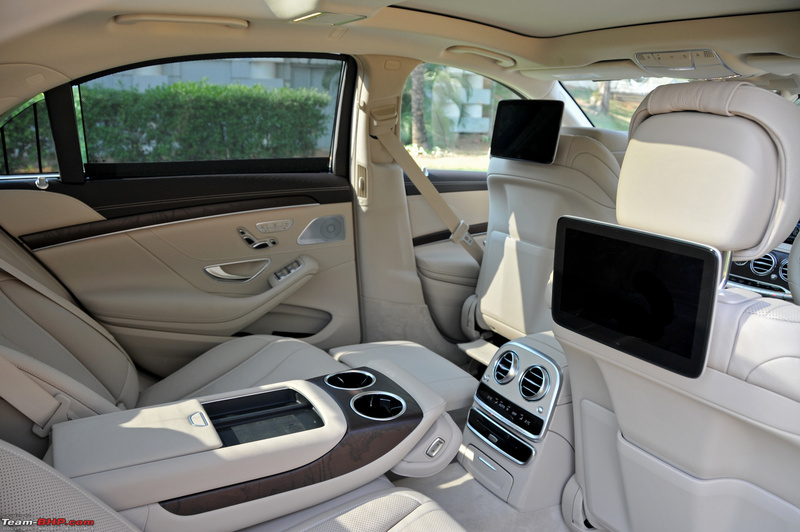 The front seats are truly like sofas, and once you sink in and shut the door, you are cut off from the outside world. 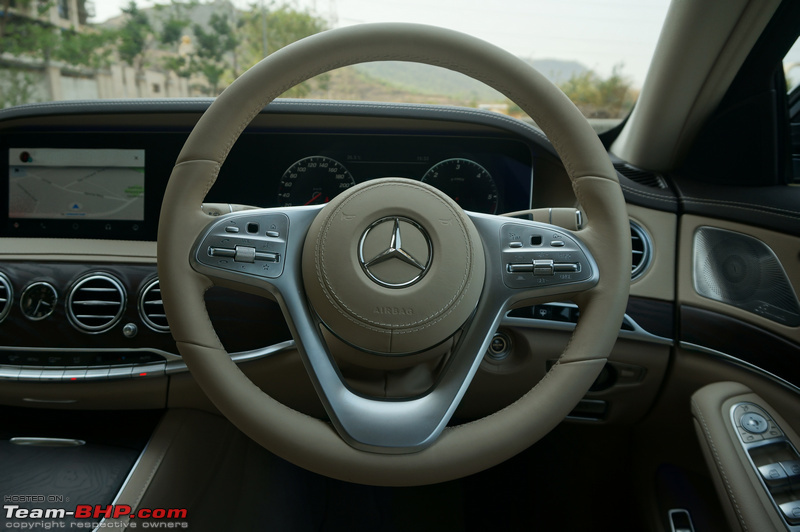 I started the S-Class, not paying much attention to the new instrument cluster, moved ahead while going through the flag off and stopped a few hundred feet ahead so we could check out the car and take pictures. It was then that I looked at the tachometer, and saw this was the diesel!!! Now, I’ve driven the pre-facelift W222 S350d for a few thousand km, so I know how it feels. 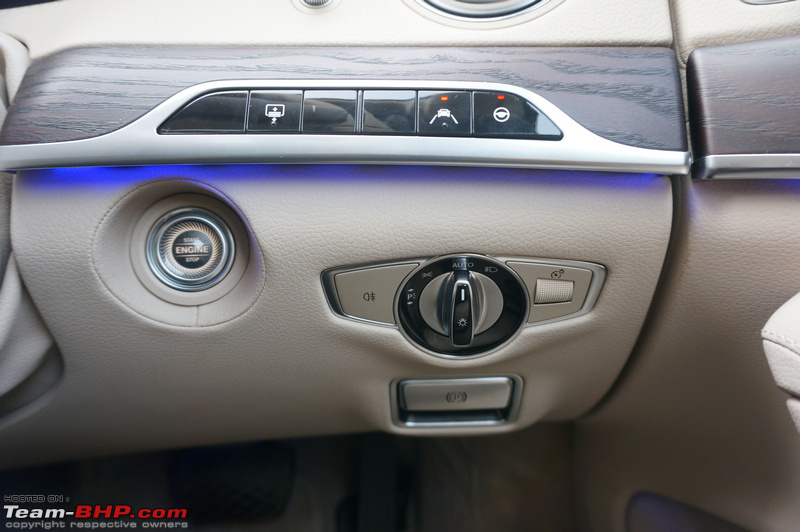 The pre-facelift car was possibly one of the most refined diesel cars I had experienced, but even in that, there was a very tiny vibration and a faint sound from the diesel engine. In this, nothing! It starts like a petrol, it is refined like a petrol, heck it’s more silent than the petrol at high rpms. 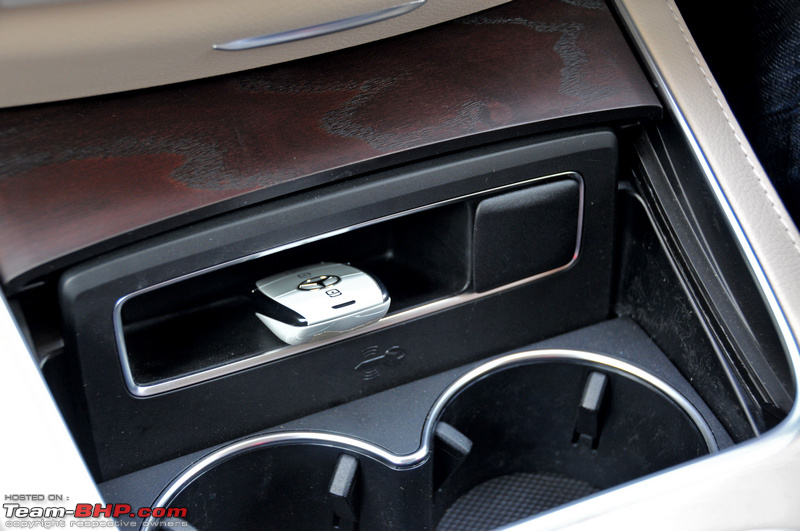 Moving out of the hotel and on to the roads of Hyderabad, I noticed how smooth this gearbox is. The shifts are totally imperceptible, and having so many ratios means the engine is always in the torque band. 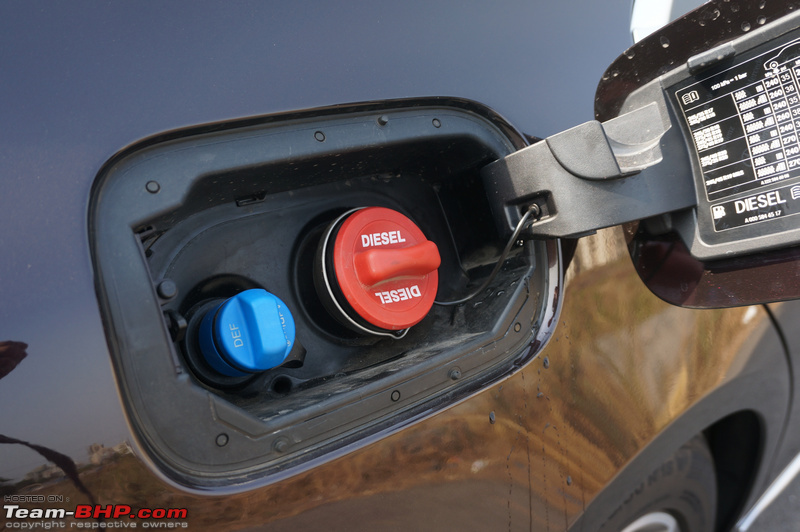 The new diesel is a very rev happy motor, and it’s got no perceptible turbo lag. 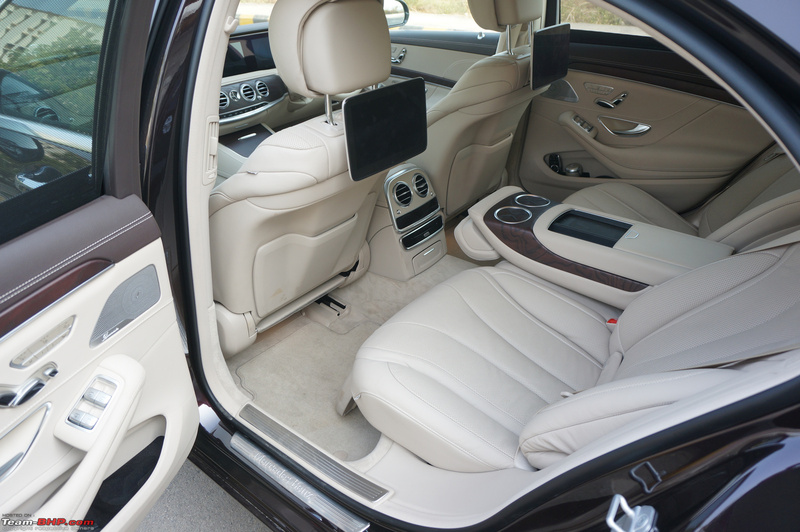 When you put your foot down, the S-Class moves like no giant (with a 3 litre engine) should. 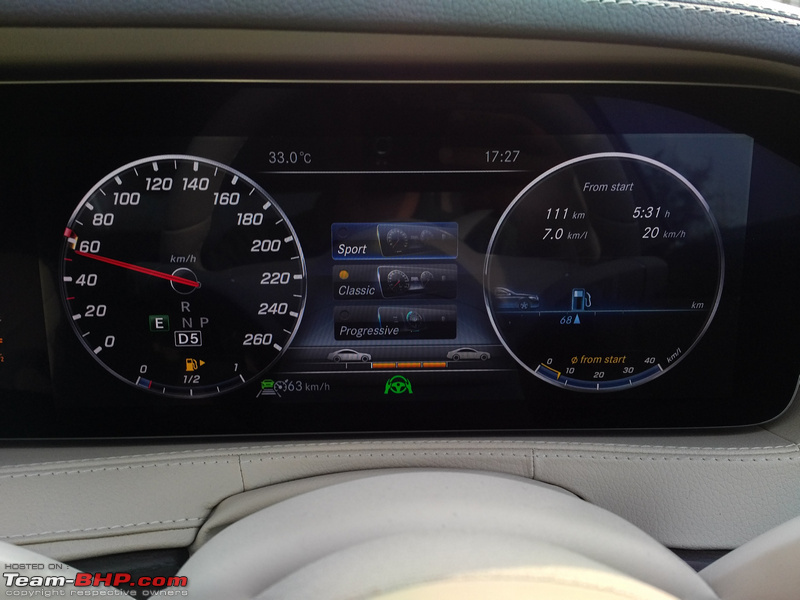 It is almost as fast as a 530d to the ton, and it goes up to autobahn speeds like crazy. Even near the redline, the diesel is super refined. This transmission and engine are partnered superbly, with the facelift S350 being a lot more fun to drive than the pre-facelift. 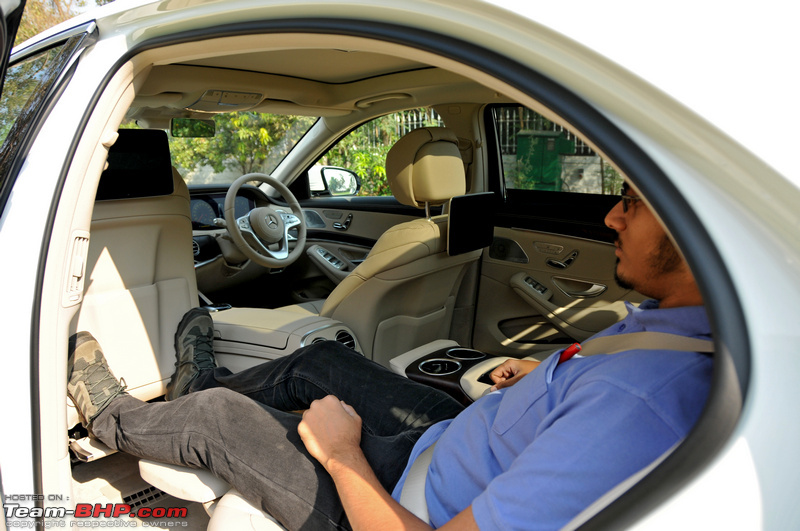 The S-Class can be driven in a completely relaxed manner as it is meant to be, and at the same time if the owner decides to jump into the driver's seat and give it the beans, it doesn’t feel like the car is not meant to do that. Of course, the sheer size & weight don't make it a corner carving tool, but you get what I mean. The S-Class is legendary for its comfort. 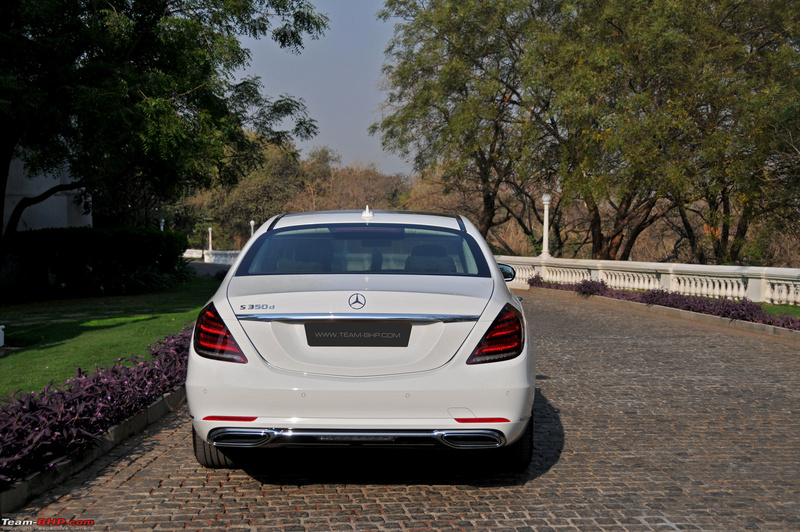 And this one is pretty much the same as the pre-facelift W222. Magic Body Control is still only offered in India on the Maybachs; unfortunately we didn’t get to sample any of those. 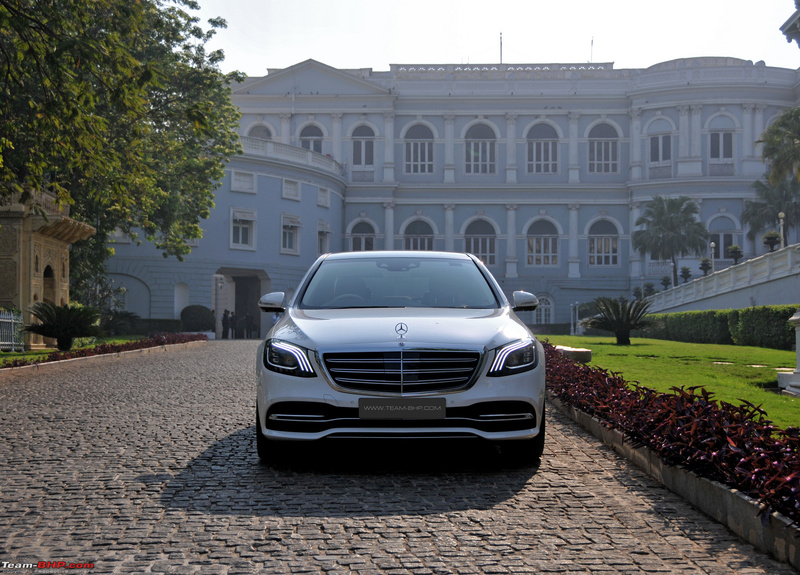 The suspension glides over everything, and it is a royal feeling sitting in the driver's seat with the tri-pointed star far across on the hood bobbing up and down with the road. Small and medium bumps are dismissed as though the road was butter smooth, and only very sharp or large bumps manage to find their way into the car. Even then, things never get uncomfortable. With such a good ride, one might expect handling or stability to go for a toss. But at highway speeds too, it is perfectly stable and feels right at home cruising at expressway speeds. 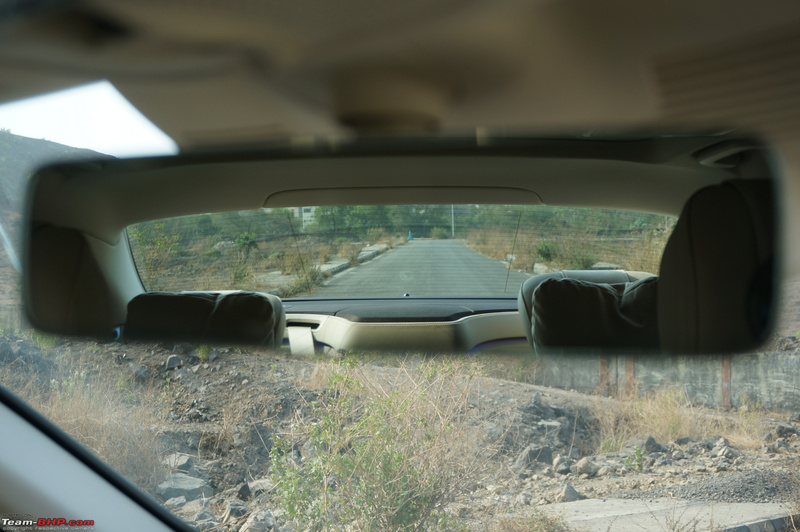 We did almost 2 rounds of the Hyderabad ORR that day, and I got out feeling totally fresh. Any other vehicle and I would not have been able to take the second round. 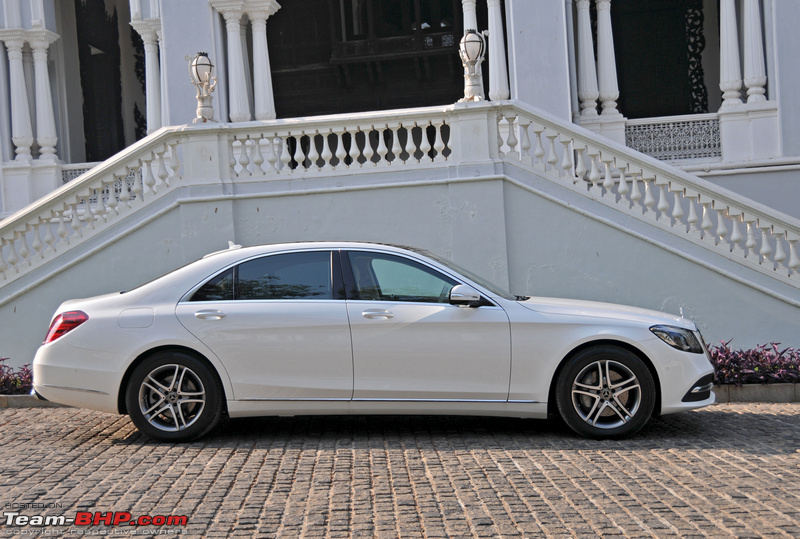 After the initial faux pas, we did get to drive the petrol S450 a short while later. This is not the all-new inline 6 petrol, but an older V6 engine which puts out 362 BHP @ 5,500 - 6,100 rpm and 500 Nm @ 1,600 - 4,000 rpm. I believe this is the same engine used in the 43 AMG-badged vehicles. This engine is rev happy and does make the S-Class feel a bit more enthusiastic and you can also hear a bit of a growl at high revs. Its got enough torque low down for the transmission not to downshift if you need to cover some gaps, but what it doesn’t do is give you that torque surge which the diesel does. There is no doubt that this is quicker than the diesel, yet it doesn’t feel much faster. To be honest, these mid-level petrol engines are present for those who want pure refinement. But now with the diesel right up there, I don’t see too many takers for the petrol, especially since the impressive diesel is a couple of lakhs cheaper! In effect, the W222 facelift does what the S-Class is known to do, even better. And it also makes it a bit more fun to drive at the same time. Disclaimer: Mercedes-Benz invited Team-BHP for the S-Class test-drive. They covered all the travel expenses for this driving event. Last edited by GTO : 30th May 2018 at 12:36. Thread moved out from the Assembly Line. Thanks for sharing, guys! Rating review a well-deserved 5 stars. This is Mercedes at its absolute best and man, what a car. In the super-sedan segment, all the contenders are awesome - the A8, 7-Series & even the LS500h (not counting XJ because it's too old). 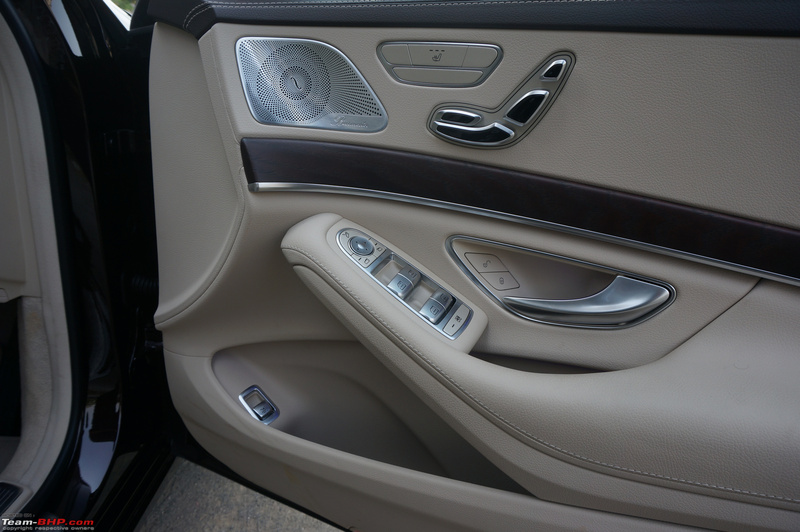 However, the S-Class is quite simply a cut above the rest. 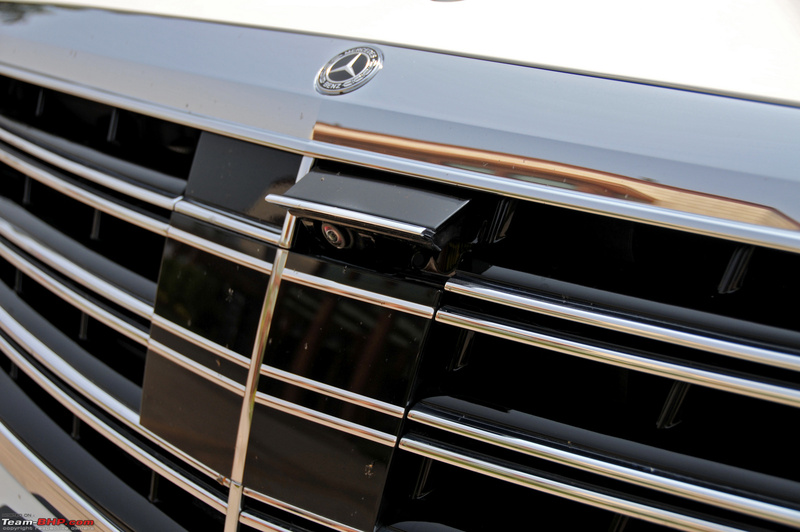 Mercedes has moved the game so far forward that the others have to play catch up. I wouldn't be surprised if the S-Class is outselling all the others combined. 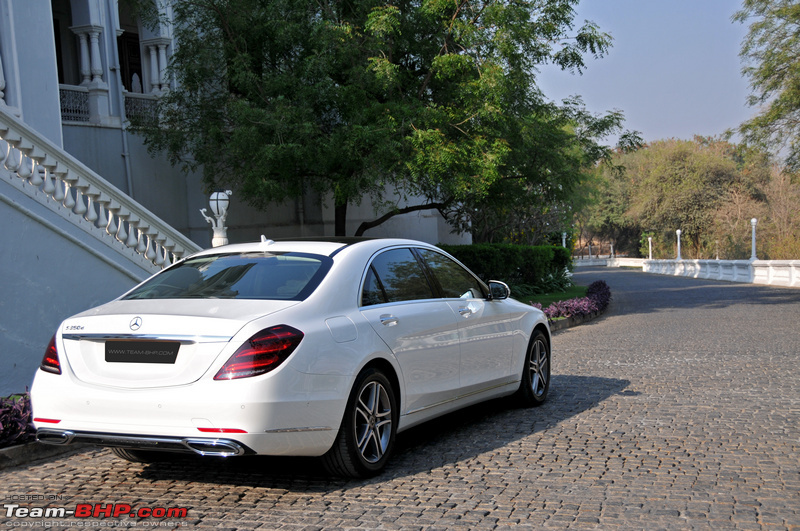 Even though I'm a driving enthusiast and the 7-Series is more fun to drive, I'd still buy the S-Class over it. The car is just magical. What Ferrari is to sports cars & Rolex is to watches, the S-Class is to luxury sedans. 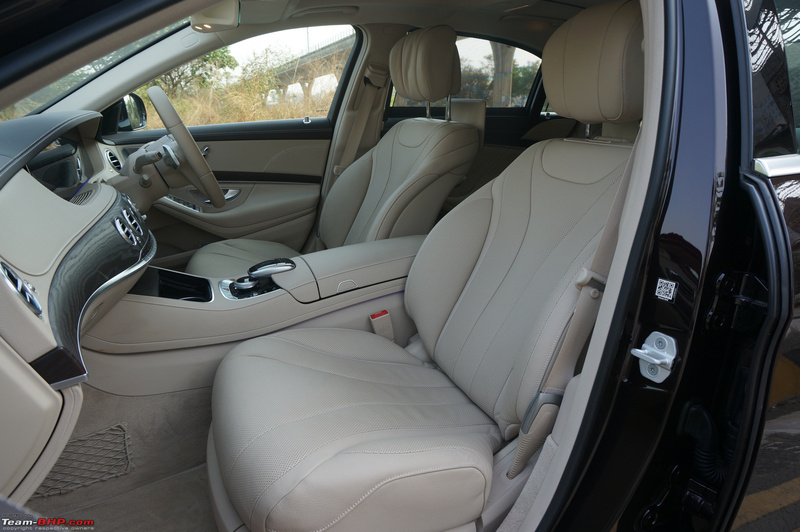 •	A 6-year extended warranty is available and strongly recommended. Don't even think twice about it. Owners have been reporting electronic niggles & nothing is cheap to fix in an S-Class. •	Distinguished BHPian Sahil (who owns an S-Class) says that maintaining the right tyre pressure is important. If it goes below, she will scrape over speed-breakers. Last edited by GTO : 30th May 2018 at 12:49. An absolutely brilliant car! With the radar based tech now operational, even we can start experiencing the 'hands-off' luxury that the S-Class is famous for ! The only question I have is about the Ad-Blue. Will we be taken for a ride by the dealers in that department? What is the prevailing price? What if the dealer just forgets to fill up the tank? Can we source it on our own? Got a prime-competitor review coming up in a little while. 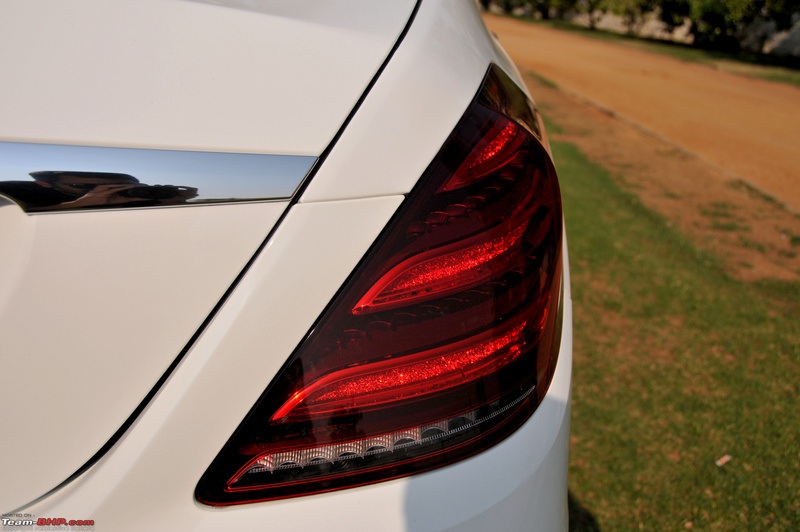 If perspective buyers have waited for this review to finalise the S-class, wait a little longer. Ive got a few things to make your decision ever so harder. But to make things easier, from a person who has owned both; S-class for the back seat players and 7 series for the front seat ballers. The only question I have is about the Ad-Blue. Will we be taken for a ride by the dealers in that department? What is the prevailing price? Can we source it on our own? 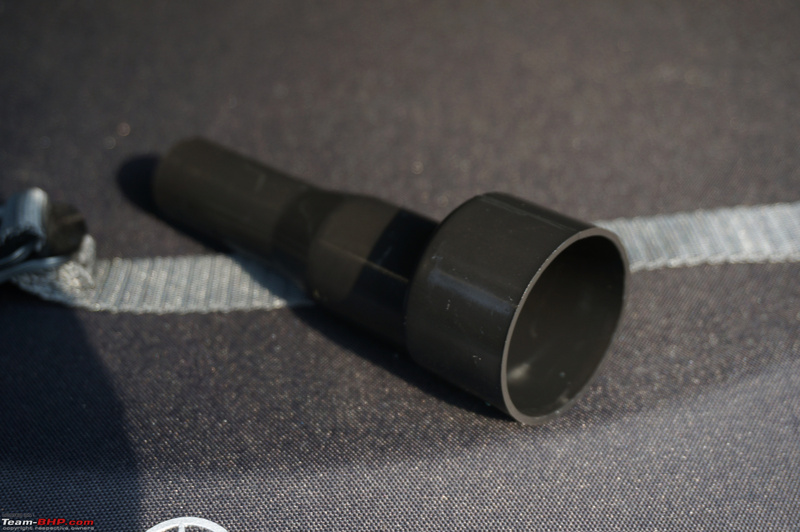 Ad Blue, also called as Diesel exhaust fluid (DEF) is a solution made with urea and deionized water. 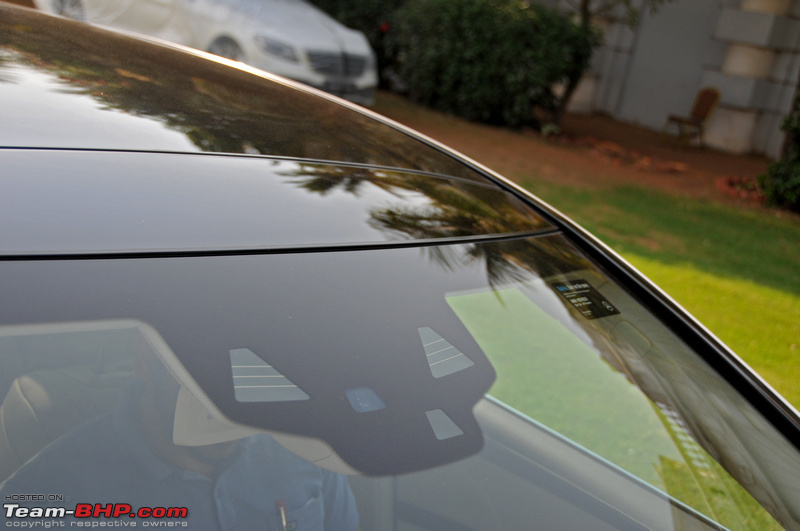 It is trademarked as AUS 32 (aqueous urea solution) by the German Automotive Industry Association (VDA) in ISO 22241. So I'm pretty sure that you will be able to source it from outside. 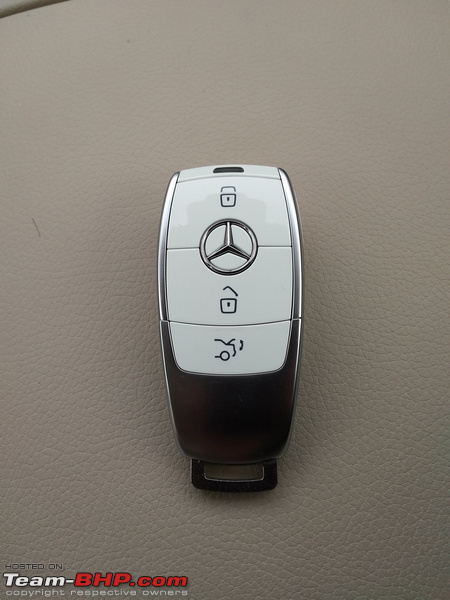 I do not know the exact prices for the same, but you should be able to source one from someone other than the Mercedes dealer. What if the dealer just forgets to fill up the tank? Well, I suppose you have to be vigilant. 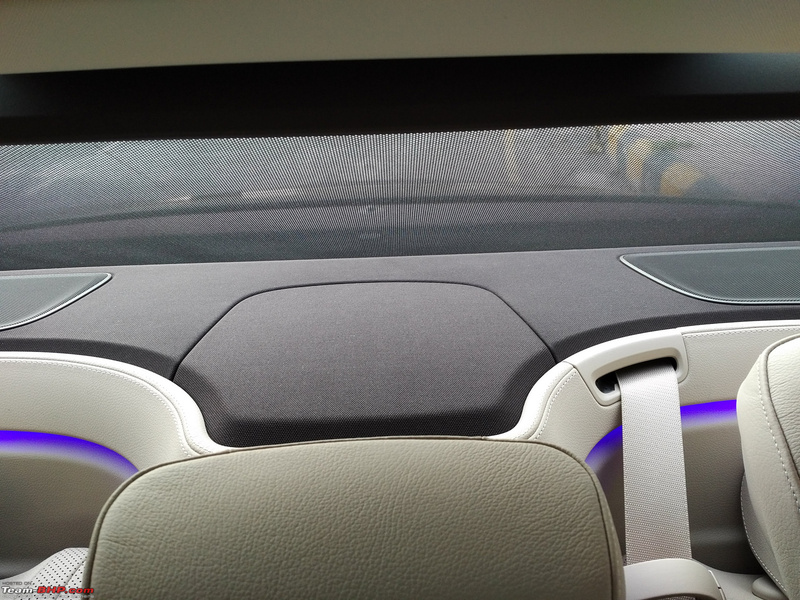 I'm also sure that the car will display a warning when the level goes low. Based on this, you can be sure about the Ad Blue being filled up or not. that's right. Adblue can be sourced separately. It is currently in use in India for Luxury coaches and truck application. Once in mysore road, I've seen a petrol pump selling adblue at their outlet. 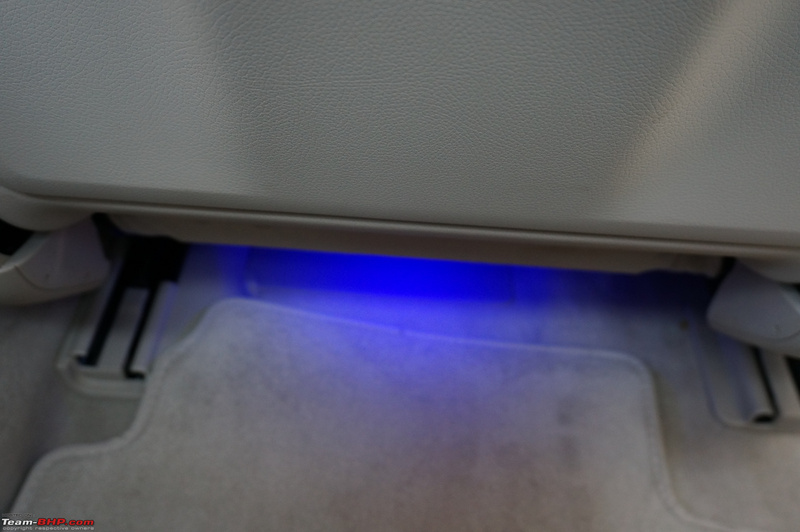 Gulf branded adblue is used in Volvo buses. I guess this Ad Blue is another fluid (headache) to be taken care of by the car owner/ chauffeur in addition to fuel, brake fluid, wiper fluid, engine lubricant etc. Any idea on how much it costs? Not sure if this is the best solution towards emission control. Come on Mercedes, you are expected to do better. When they have developed an all new inline 6 cylinder engine, Mercedes could have done better with emissions. I hope it is left to Toyota now to bring in the innovation! Why not a hybrid? SCR is only solution currently available which can meet Euro VI regulations reliably. Adblue is not expensive for what it does. 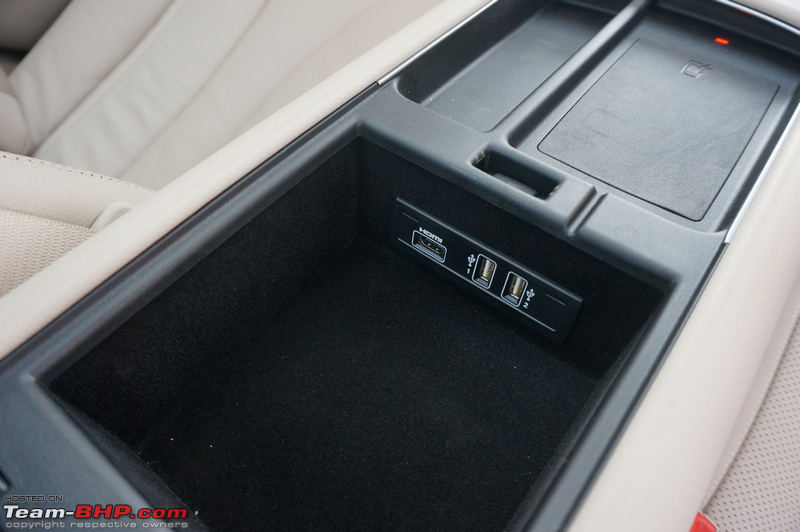 It frees up the engine and allows the designer to extract optimum performance. VW tried alternate solution, they failed. We know what happened next. We have to electrify to come out of this, there is no other go. Indeed the best luxury sedan in the world no doubt. Long ago,I saw a video piece on 5th gear I think which proclaimed that when you travel in a S, your heart beats a few notches slower as compared to travelling in a 7 or an A8 because that's how comfortable it is to be in. I am sure the owners will testify better. 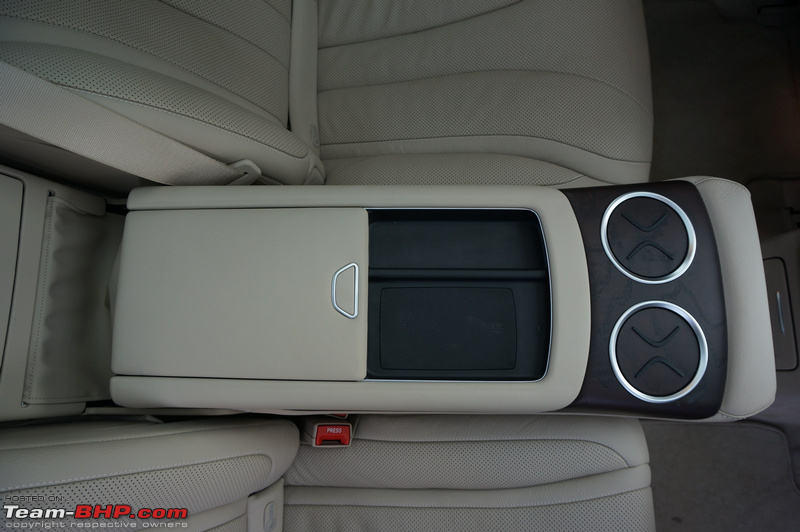 Anyhow, dont like the huge front air dam, reminds me of a gaping fish mouth. But other than that everything looks and feels splendid. I however think the new 7 is a remarkable machine and prefer it over this. Slightly going off topic, but if this DEF is basic requirement for meeting BS-6 emissions, do we see something similar in low capacity diesel engine like, say 1.2 Diesel in Hyundai grand I-10 in near future?